A pond aerator can be a tremendous asset to any lake or pond manager. 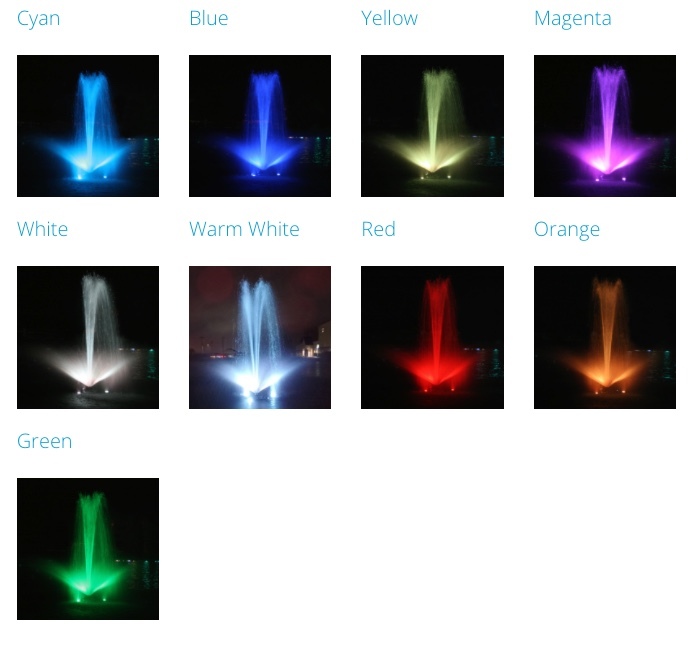 A decorative fountain aerator will not only improve the aesthetics of your pond or lake, but will also significantly enhance the natural lifein your pond. Increases dissolved oxygen levels. Removes pungent odors caused by stagnant water. Helps maintain a constant temperature throughout the pond. Limit the risk of disease outbreaks in impoundments with poor water quality. Destratification releases harmful fish toxins caused by decomposition of organic matter, fish waste, feed waste, and cattle & waterfowl waste. Enhance conditions for fish food organisms. Destratification will reduce water treatment cost. Feed conversion rates will increase as water quality improves. Reduces algae growth by forcing cells into deeper water, limiting exposure to sunlight. Uninhabitable water will be circulated and purged of impurities allowing fish to inhabit the entire pond. Our entire line of Kasco Fountain Aerators come standard with a 2 year warranty are equipped with the same commercial grade motors that you will find in our Kasco High Oxygen Transfer Aerators that are utilized in fish farms and water treatment facilities throughout the world. So when you purchase a pond or lake aerator you will have the peace of mind of knowing that you have purchased one of the most dependable fountain aeration units available. In the unlikely event that you do have trouble with your fountain, we are a Kasco Marine Authorized Service Center staffed with factory trained personnel ready to solve any problem you may have!